Made of card-board, with clear PVC cover welded for extra durability. 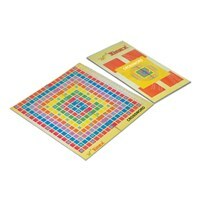 An exciting and challenging board game where "every word counts". It is one of the most popular word game that strengthens vocabulary.